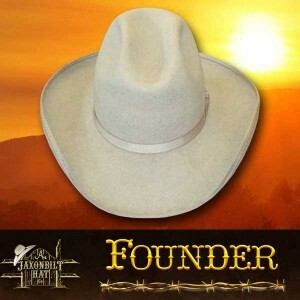 Jaxonbilt Hat Company’s ‘The Founder’. 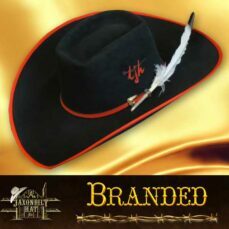 A fine looking hat for shape, color and appearance all around. 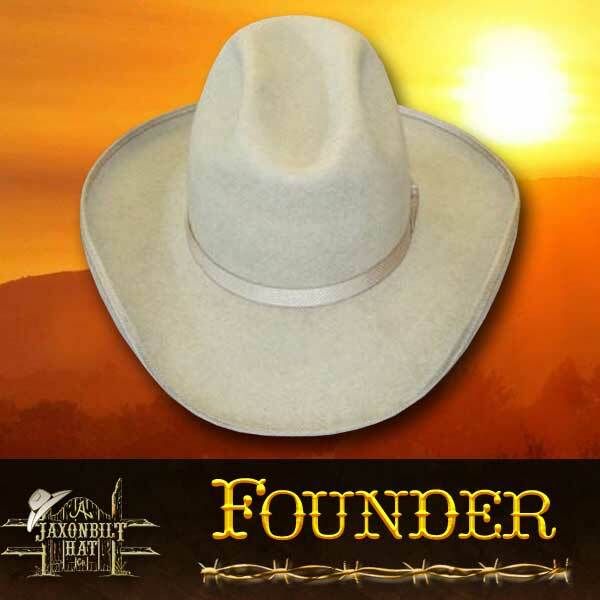 The gentle slope to the front cattleman, harmonizes with the 3 3/4″ pencil curled brim. 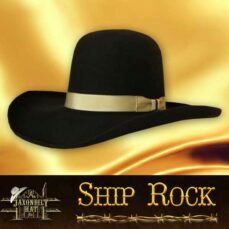 Our choice of color is Natural with limestone trim.